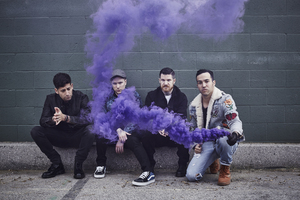 Go Behind The Scenes of Fall Out Boy’s New Video! They don’t hit San Diego for their 91X show until November 15th, but we’ve got something to fill your eye and ear holes in the meantime: check out the new Fall Out Boy video for “Champion” and then watch the behind the scenes video too! Champion (Beyond The Video) by Fall Out Boy on VEVO.